Opera will forever remain an enigma to me; at nineteen, in Rome, Italy, Puccini’s (1858-1924) “La Boheme” reaped heavenly havoc on my spirit and the genre’s deliciously toxic tentacles have clasped me ever since; this is an art that generates the deepest form of passion, culling from one’s depth emotions reserved solely for loved ones; mysteriously, indiscriminately it claims the devotion of sundry sorts: there isn’t a taxi driver in Italy who can’t, at a moment’s bidding, sing “Mario’s” bleedingly beautiful, initial aria to “Tosca”; its magical aura can claim the hardest hearts, untutored neophytes, yet ignore the scholarly, prodigious and well-intentioned. Watching director Tom Volf’s “Maria by Callas” an exquisite homage to divine majesty, feeling the irresistible tug of divinity’s grace, knowing from my core, this was the reason for the treasured sense of hearing, the Sirens seductive lure; Maria Callas’ (1923-1977) celestial, enchanting voice, and its tonal range, captivated, enthralled audiences from the age of thirteen until her death at fifty-three. This documentary reveals her honesty, vulnerabilities, her accepted “destiny”, acknowledgment, that a woman’s sacred role of motherhood would never be hers; adored, revered, at times reviled, she felt compelled to unselfishly share, a gift, so acutely unique, it was not hers to sequester. She is regal, flamboyantly magnificent, tall, winsome waist, tapered, lithesome, expressive fingers lend elaborate legitimacy to her every role; Bizet (1838-1875) had to envision Maria when he composed “Norma”. She was high-strung, tempestuous, but demanded more of herself than any audience ever could. 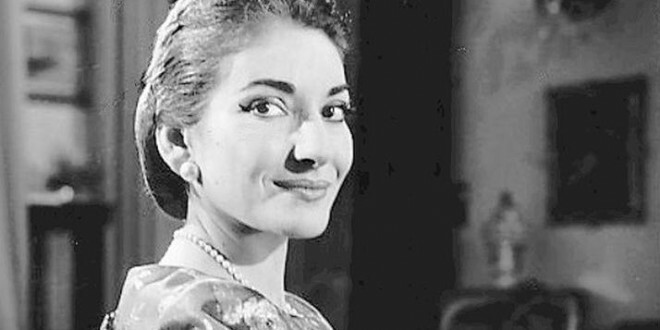 She endured a shattered heart, maligning gossip, withstood it all, never succumbing to self-pity; ultimately, perpetually reigning, Maria Callas, an unmatched paradigm, an eternal Diva, to be honored, lionized, for her genius, dominance in the marvelous, magnetic, mystical operatic sphere. Does the moon prefer to be supplicated by Beverly Sills or Maria Callas? The day I saw Maria by Callas, I had come home to find my seven year old reading Asterix and Obelix cartoons. How perfectly amusing to encounter graphic novels about Romans vs. Druids after viewing Casta Diva on-screen ! O mio babbino caro indeed! The movie is a lovely introduction to the discipline of Opera.